BEAUTIFUL PLATINUM !! 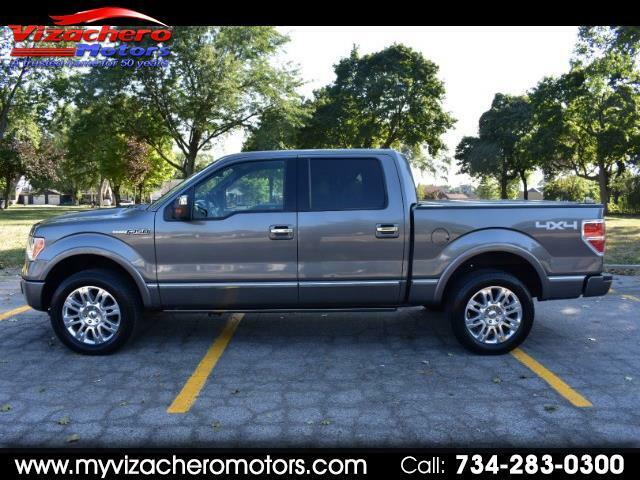 - 5.0L ENGINE - AUTO - 4X4 - CHARCOAL CREW CAB - BROWN/DARK CAMEL INTERIOR - POWER SEATS - HEATED SEATS - A/C SEATS - POWER WINDOWS - POWER DOOR LOCKS - POWER MIRRORS - TONNEAU COVER - POWER REAR WINDOW - AM FM CD SONY SYNC STEREO - LOADED UP NICELY - RUNS AND DRIVES LIKE NEW - NO NOISES...NO SQUEAKS...A BEAUTIFUL RUNNING, RIDING & DRIVING TRUCK !! - A MUST SEE AND DRIVE - - WE ALSO OFFER A GUARANTEED CREDIT APPROVAL FOR ALL !! - PLEASE BUY WITH CONFIDENCE...OVER 58 YEARS OF AUTOMOTIVE SALES AND SERVICE ...OVER 6000 VEHICLES SOLD !! - HOPE TO SEE YOU SOON!! !